The children’s day was celebrated with great enthusiasm on the 20th of November 2018 at ICSK (Senior). The faculty took the initiative of unfolding their hidden talents to the students. The program was anchored by Mrs. Srikala Dileep (HOD social science). The program began with the recitation of the Holy Qura’an followed by the Kuwait National Anthem and the prayer song. The flag hoisting and salutation was done by the Principal and Vice Principal respectively. Teachers of various departments represented the ICSK news desk. The program continued with a special segment of the charity event led by the coordinator of the same, Mrs. Anief. Cancer patients belonging to different communities were given a token of appreciation contributed by the ICSK family. The pledge was led by Mrs. Musarat Parkar (HOD commerce). The teachers’ handbook was released by Dr. V. Binumon and its first copy was presented over to Mrs. Shahnaz Dalvi, the Staff Secretary. 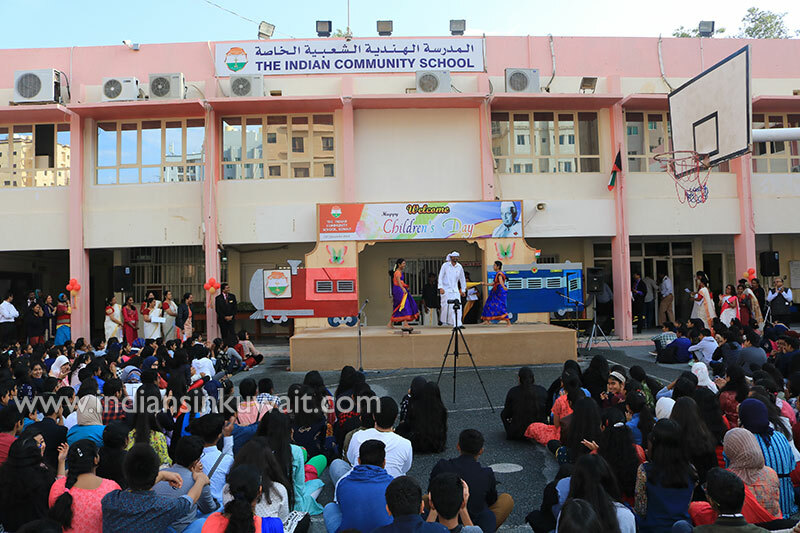 The cultural programs presented by the teachers and staff took the students on a pleasant and sweet journey through incredible India by human-train. The train was flagged off by the Vice Principal, Dr. Sam T. Kuruvilla. The train started from Hazrat Nizamuddin Station located in Delhi and stopped first at Howrah station, West Bengal with a melodious Bengali song –‘ekla cholo re’ presented by the English department. The train then progressed to Chennai. The teachers , Mr. Riaz, Mrs. Angulakshmi and Mrs. Sujatha presented a traditional dance usually performed during pongal. The train then had a short layover in Puducherry where the students were delighted with the presence of Mrs. Jayabala Jayaram (French dept.) who sang a beautiful French song. 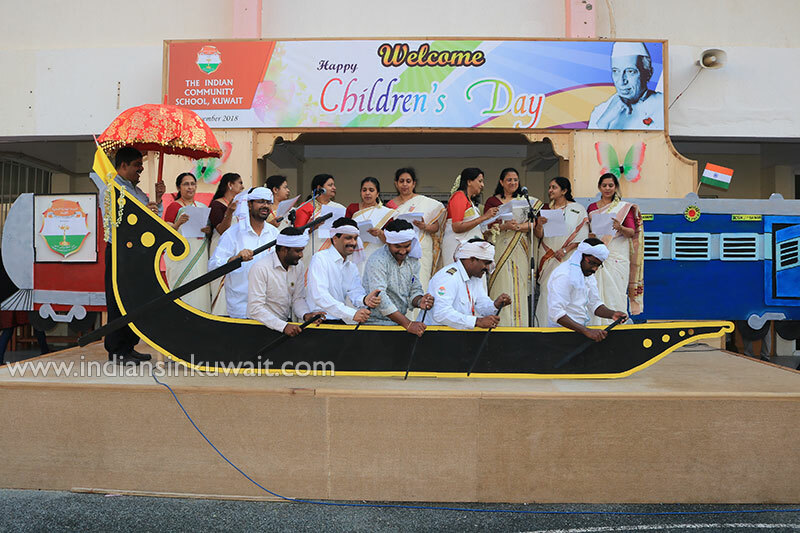 The next stop was at the Trivandrum Station where the traditional boat race song was presented by the non-teaching staff and the teachers of the science department. Goa was represented by Mr. Joel D’souza along with a member of the non- teaching staff with a mesmerizing song. The train then left from Chhatrapati Shivaji station in Mumbai with an authentic fishermen's dance by Mr. Atiq and Mrs. Hepsiba. A Hindi song was also presented by the Kishore Kumar of ICSK, Mr. M.U Mathew. An extremely energetic Punjabi dance was presented by the enthusiastic ladies of Punjab, Dr. Navjot Kaur (HOD, Psychology) and Mrs. Jayabala Jayaram French dept.). Mrs. Sujatha T.G. and Mrs. Indira represented Himachal Pradesh and presented the Principal with the plants cultivated as a part of their tradition. The Kashmiri kalliyan show cased their beautiful moves and created a very atmospheric ambiance. The next layover was at Darjeeling. A break was given to the faculty with some games organized by Mr Yusuf shabbier. The game session played by the teachers added color to the campus.The train finally stopped back at Delhi where Dr.V. Binumon rendered a melodious Hindi song which stroke a cord in the hearts of the students. 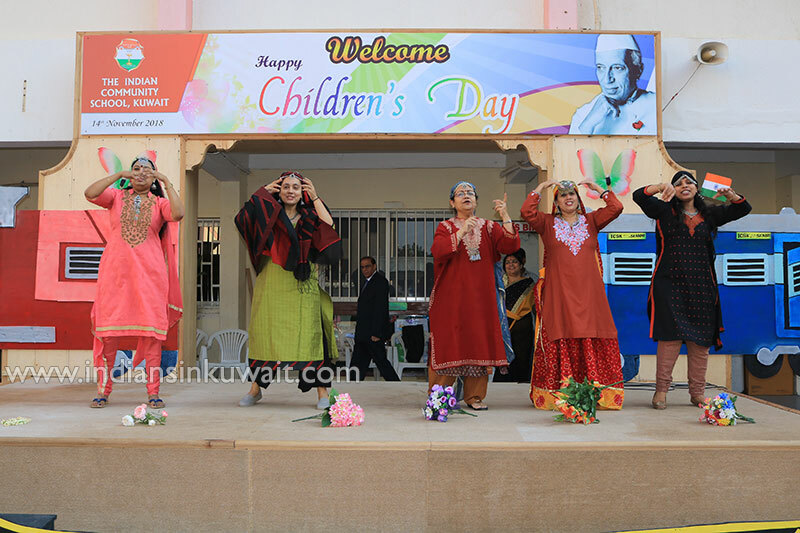 Mr. Austin dressed up as Pandit Jawaharlal Nehru gave the children quite a thoughtful message. The vote of thanks was given by Mrs. Shahnaz Dalvi, Staff Secretary. Another segment included the Campus Green, an event organized by the nature club of ICSK where each teacher and student was presented with a plant with an intention of nurturing the little lives and get the incentive to grow many more in the future to make our earth clean, green and beautiful.